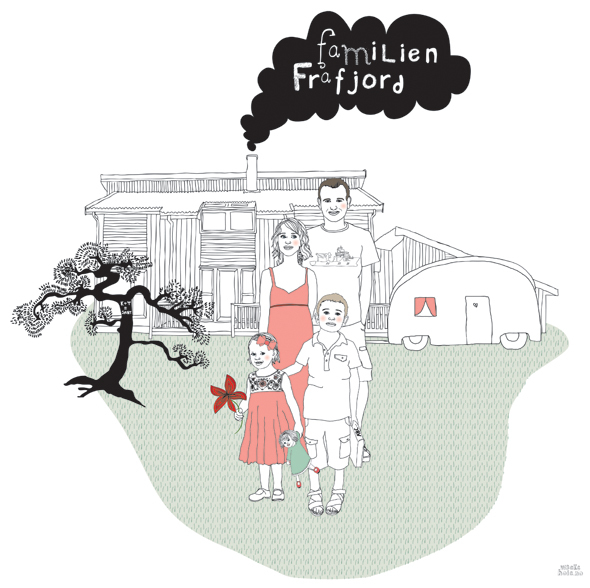 Vibekehoie.no: Family portrait of "the Frafjords"
Family portrait of "the Frafjords"
Late last year I was contacted by Katrine Frafjord who wanted to surprise her husband with a family portrait for christmas. I had done one of these before for a wedding, and I enjoyed doing it so I sais yes and here is the result. Lovely family!